Lots of homeowners choose to plant trees and shrubs that offer beautiful spring blooms or spectacular fall color. But when it comes to winter they are suddenly left with a landscape that looks sparse and isn’t very appealing. A well planned landscape will have a combination of trees and shrubs that showcase their beauty in different seasons. This makes sure your landscape is appealing to the eye year round. If you think your winter landscape could use some enhancement check out our list of trees and shrubs below. When most homeowners think about enhancing their winter landscape they’re talking about adding color. Below are some great winter trees that will add color to your landscape. The American Holly looks great year round but really pops in a winter landscape. It’s thick, green leaves and bright red berries are showstopping next to white snow and are sure to brighten up your landscape all winter long. 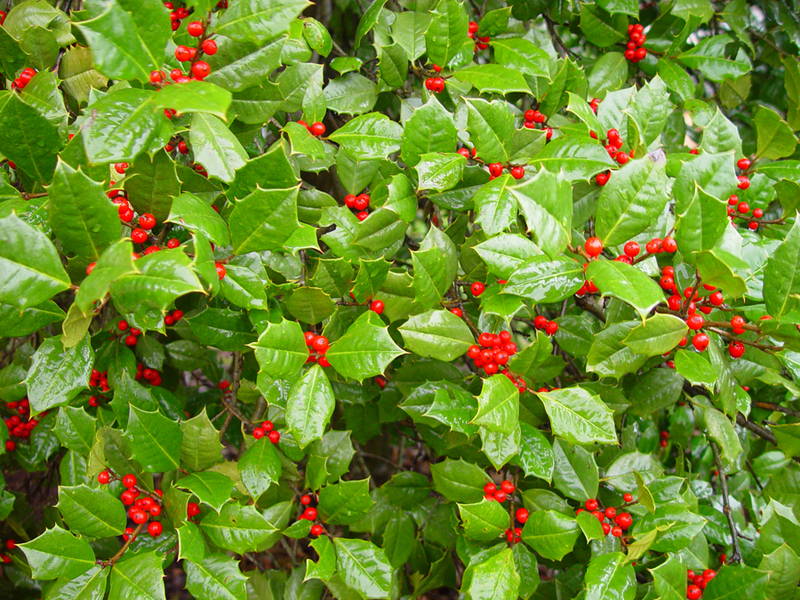 To ensure bright red berries year after year make sure to plant male and female hollies on your landscape. The sargent crabapple will enhance your landscape with bright red fruit during the winter months. But it’s beauty isn’t limited to winter, during the spring this crabapple showcases beautiful white flowers. Because of its dense branching and low height, the sargent crabapple is a good choice for planting in compact landscapes and under utility lines. Evergreens are expected in winter landscapes; however, a blue spruce stands out against typical evergreens with it’s silvery blue-green color. 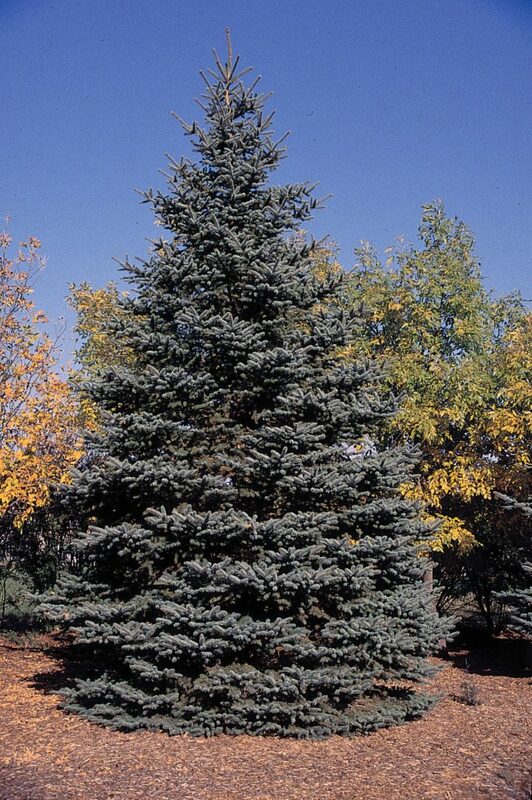 Growing 40-60 feet tall and 10-20 feet wide, the blue spruce is a great option for a winter focal point. This dogwood variety adds color to your landscape not through leaves or berries but through it’s bright red bark. The redosier dogwood is an upright, loose, multi-stemmed, broad-spreading shrub with horizontal branches at the base. 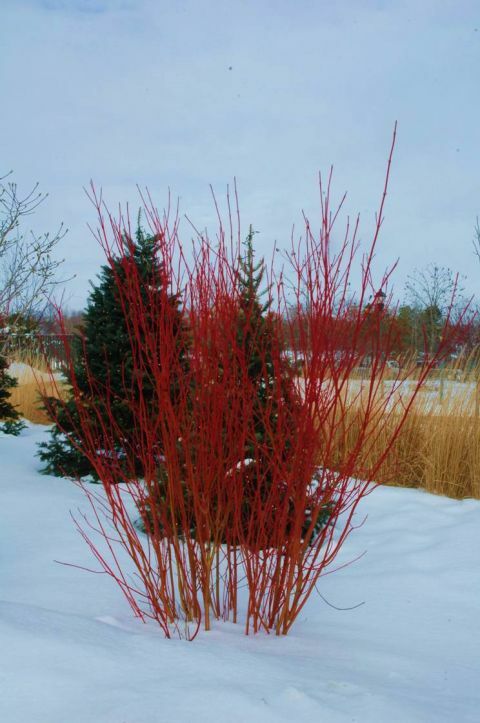 If you’re tired of evergreen privacy screens, the Redosier Dogwood makes a great alternative that packs winter color. You don’t necessarily need to rely on colors to enhance up your winter landscape. You can also draw the eye in using trees with unique bark. 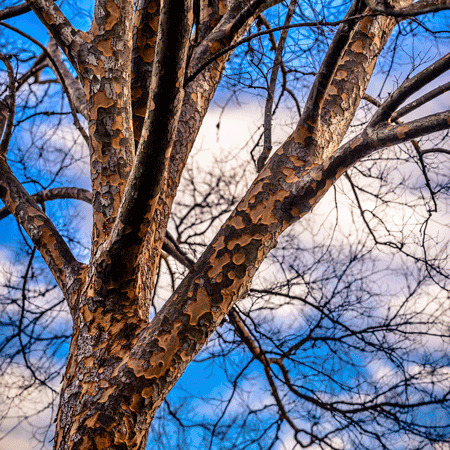 Below are some great trees that have stunning bark patterns during the winter. During winter, the Lacebark Elm’s exterior bark will flake off and peel away revealing many shades of grays, tans, and reds. These soft colors and distinctive exfoliating bark pattern make for an eye catching addition to your winter landscape. In addition, the lacebark elm is able to grow in adverse conditions and is relatively free from the diseases that affect other elms. The quaking aspen is usually regarded for stunning yellow fall color; however, it’s winter bark is spectacular in it’s own regard. 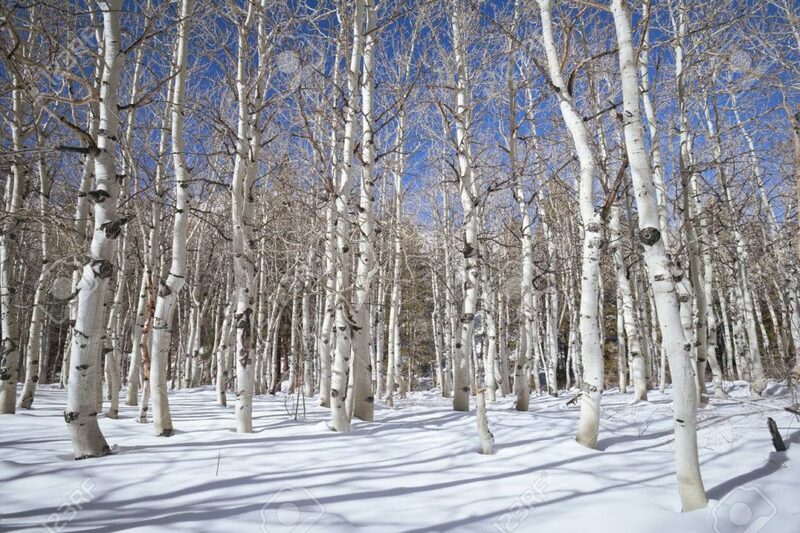 The quaking aspen has a long, narrow trunk with smooth, greenish-white to cream bark. Without it’s leaves in the winter, the bark stands out against a bare landscape. Another great multi season tree is the crape myrtle. This tree has beautiful spring blooms but also can be a winter focal point. With mottled light gray exfoliating bark this tree becomes eye catching in the sparse winter landscape. In addition it’s frost resistance makes it a perfect choice for winter landscapes in zones 7-9. 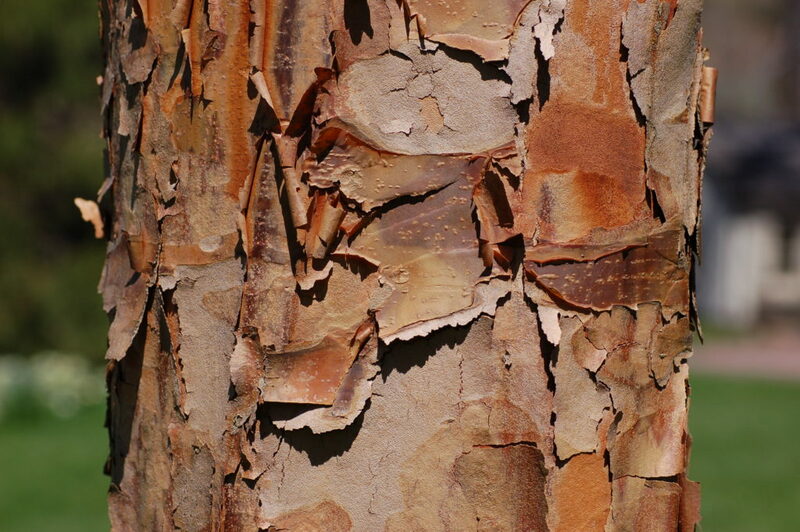 Paperbark maples are known for their exfoliating, shiny orange-red bark. 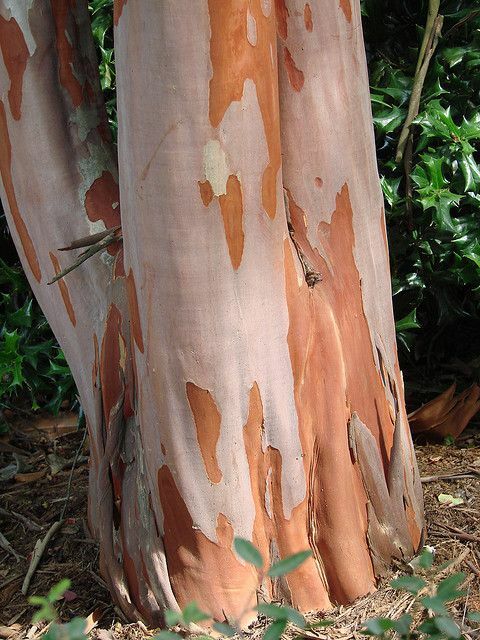 Their eye catching bark color and peeling pattern make them a great addition to winter landscapes. These trees are small to medium sized tree is easy to grow and maintain making it a low maintenance option to enhance your winter landscape. 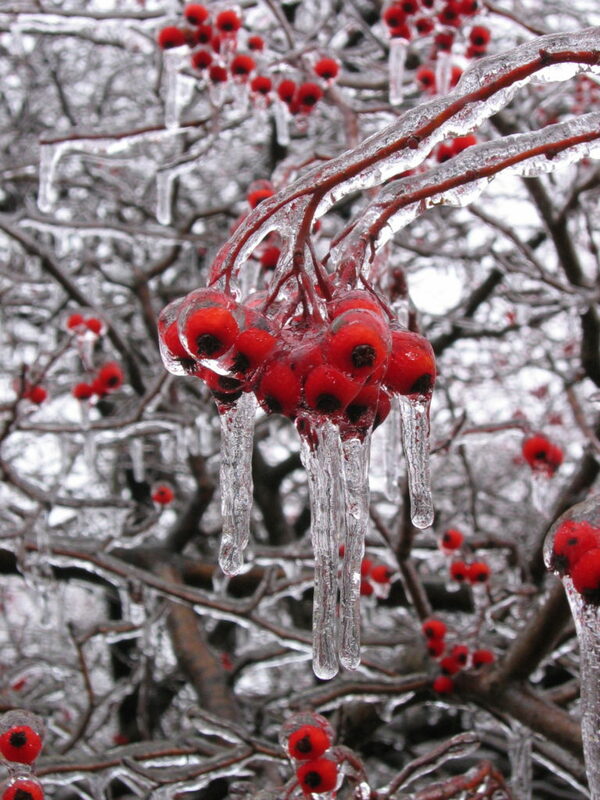 If you need help taking care of your winter landscape we can help. 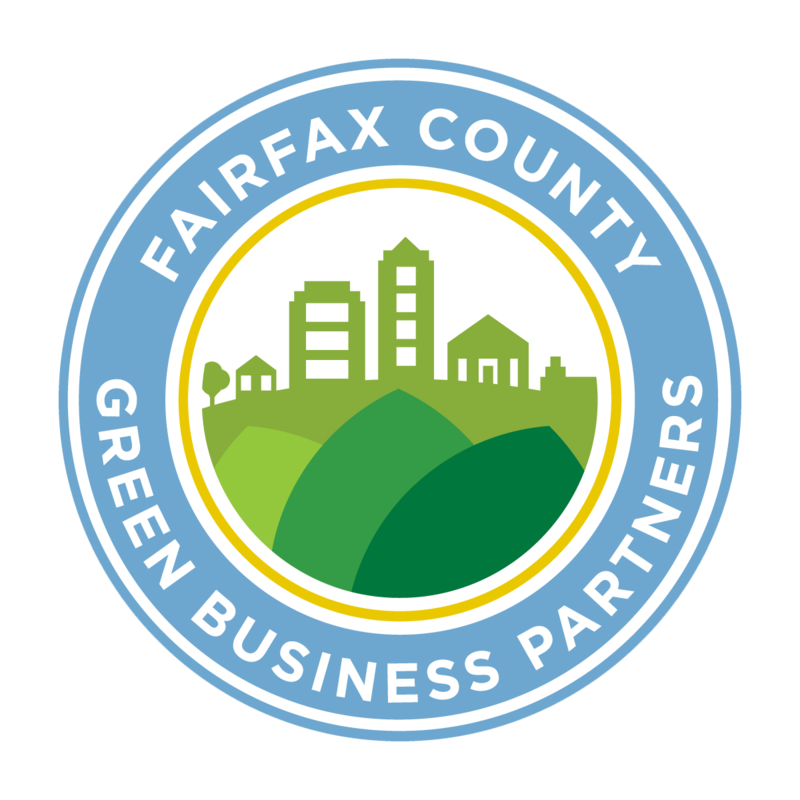 Give us a call today at 703-573-3029 or book online to schedule a consultation with one of our arborists. Previous Do You Live In A Tree City USA?